Since 2012, Bohn's Bones Art Gallery has been providing Phillips County, Montana, with a view into the fine arts, paintings and sculptures, that reside in their own back yard! Local Artists from surrounding counties have also added their flavor. Phillips County Crafters provide handcrafted Montana flavor to their woodcrafts, knitting, crocheting, and jewelry. Come take a piece of Montana home with you when you visit! 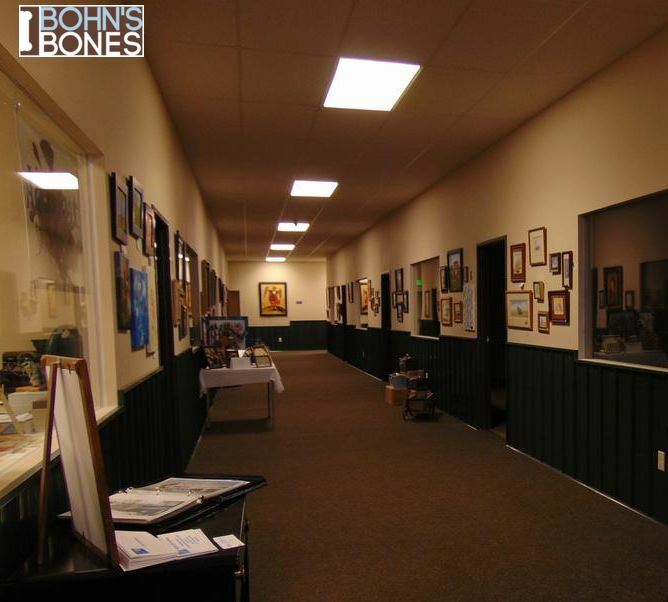 Located within Bohn's Bones is the Art Spot, an art education organization, unique to the hi-line and Montana! Art Spot create events, classes and community outreach functions throughout the year that educate and promote the visual and creative arts within both the local community and the larger region of north central and northeastern Montana. 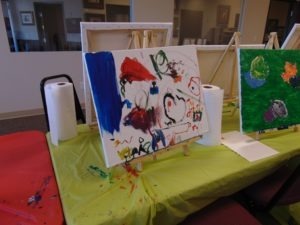 Currently, the Art Spot holds two monthly public art workshops. Little Splatters is their weekly program showing preschool children the art of make believe and expanding their knowledge of who and what they can be and how to do it safely and with fun. They also offer private art lessons and workshops, that can be scheduled when you are visiting this area!